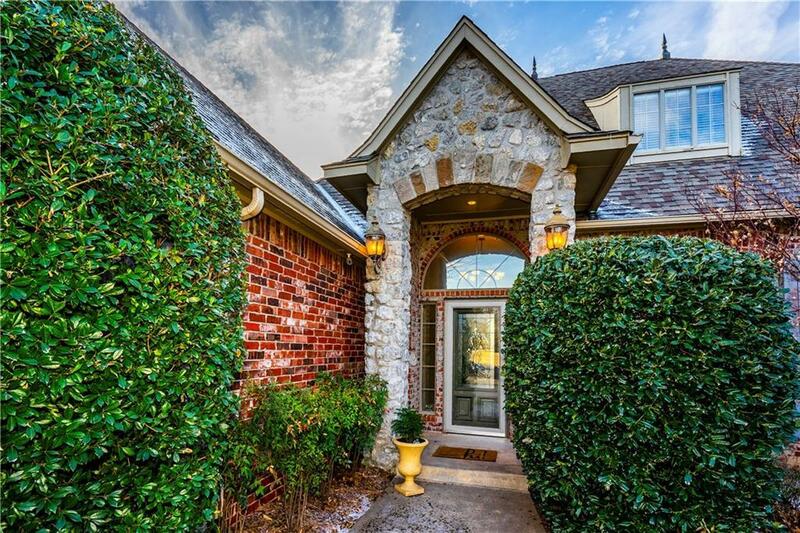 STUNNING home with unique architectural design elements and designer fixtures throughout. Almost 2/3 ACRE LOT with sparkling pool, basketball court and mature trees for privacy. Many UPDATES like fresh paint in several rooms, painted kitchen cabinets, new pool cleaner & pump and more (see supplements for complete list). Open floor plan with light color palette and lots of windows create a bright, INVITING atmosphere with an abundance of natural light. The den has a vaulted ceiling, wood beams and stone fireplace. A CHEF'S DREAM kitchen has a large center island, double oven, pantry, granite counter tops, glass tile backsplash and gorgeous decorative vaulted ceiling. 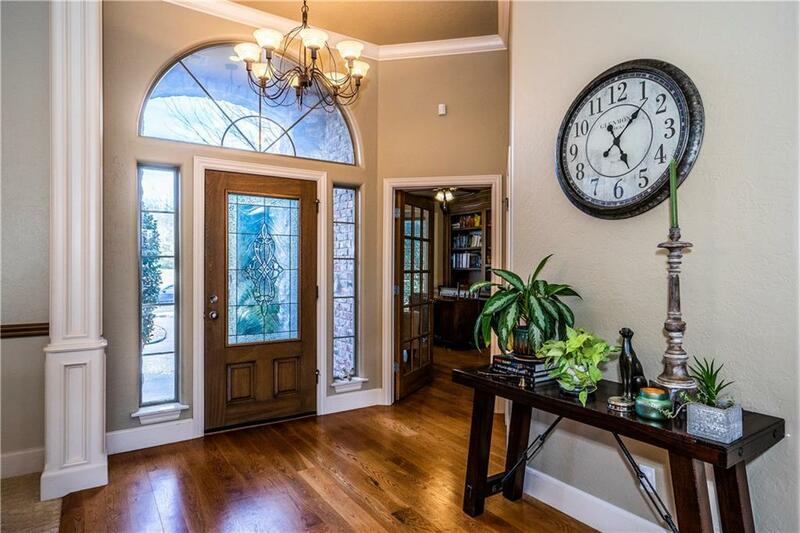 Cozy study w/built-ins sits behind French doors for privacy. Spacious master bedroom has plenty of room for a sitting area and an ensuite bathroom with TWO walk-in closets, whirlpool tub and shower. 2nd bedroom has an ensuite bath. 3rd & 4th bedrooms share a Jack&Jill bathroom. OVERSIZED 3 car garage. 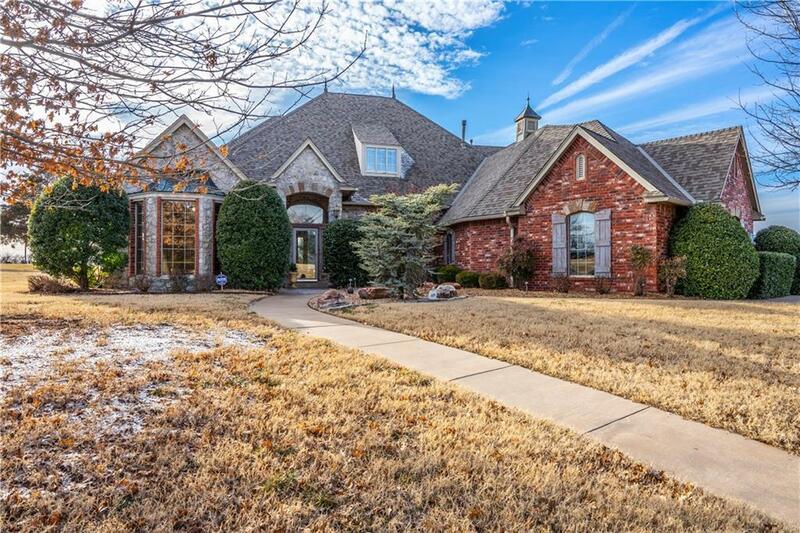 Offered by Kathleen Ram of Keller Williams Central Ok Ed. 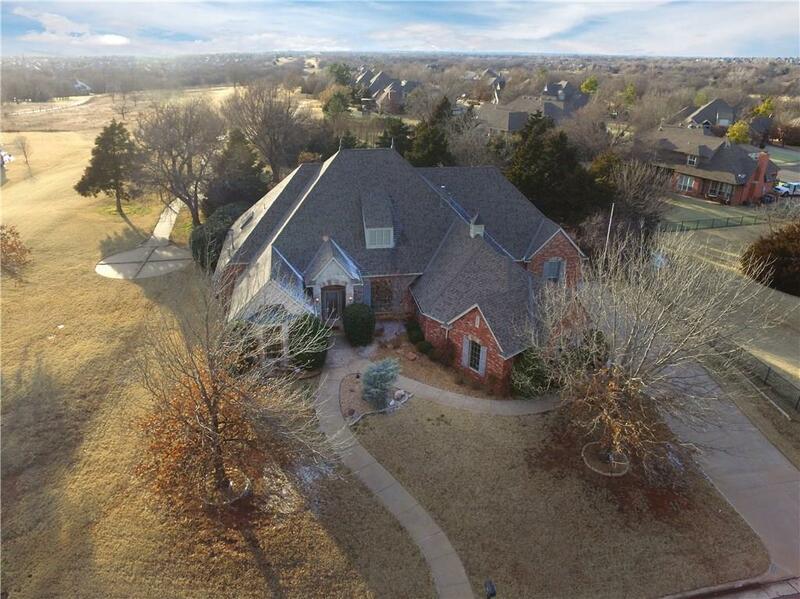 Listing provided courtesy of Kathleen Ram of Keller Williams Central Ok Ed.